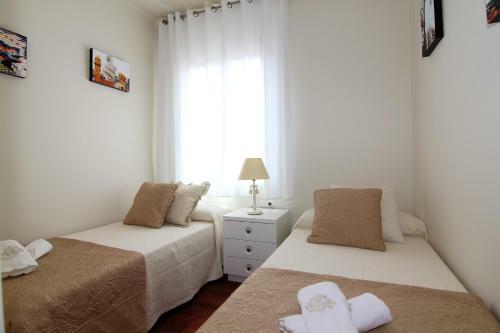 Classbedroom Apartments IV is located 10 minutes’ walk from both Plaza de España and from the Fira de Barcelona. Some apartments have a terrace with city views. 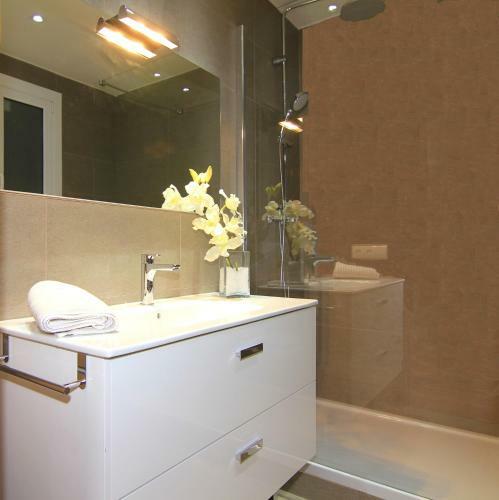 Please note that Classbedroom Apartments IV offers apartments in different locations. You will find the exact address in the apartment's description. From 20:00 to 00:00 € 20; From 00:00 to 07:00 € 50. Please note that groups, parties, hen and stag parties are not allowed. 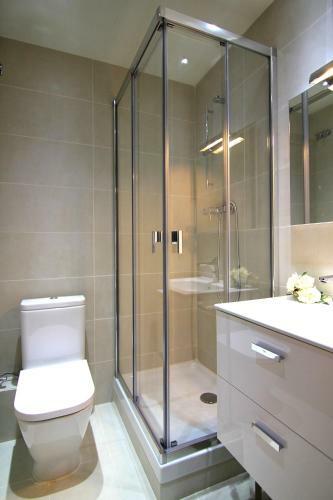 This air-conditioned apartment offers 2 double bedrooms, a twin bedroom; and 2 modern bathrooms with shower and hairdryer. The kitchen is equipped with a microwave, a fridge, and kitchenware; while a flat-screen TV is in the living-dining room. 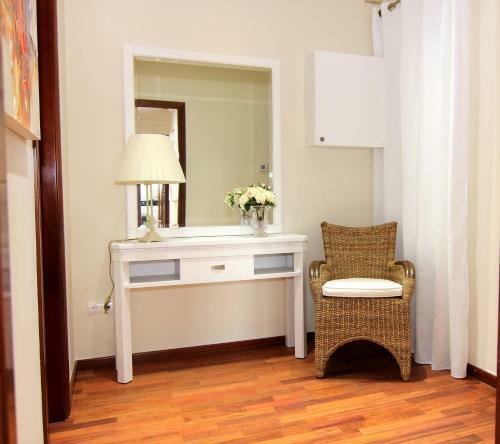 There is a washing machine, a clothes dryer; and ironing facilities are also provided. 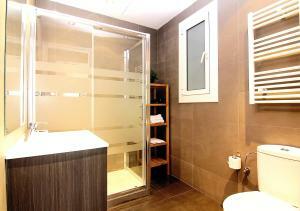 This air-conditioned apartment offers 2 double bedrooms, 2 single rooms and 2 bathrooms with shower, and hairdryer. The living-dining room has sofas, a flat-screen TV; while the kitchenette is equipped with a microwave, fridge, and kitchenware. There is a washing machine, a clothes dryer; and ironing facilities are provided. Rate: € 89.00 ... € 116.00; select dates below to get current rates. This air-conditioned attic features a private furnished terrace with views over Montjiuic. 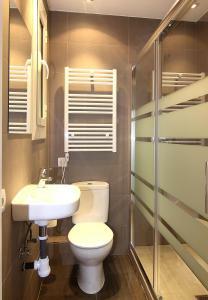 It offers 1 double bedroom and a bedroom with 2 bunk beds; and a bathroom with shower, and hairdryer. The open-plan kitchen is equipped with a microwave, a fridge, and kitchenware. 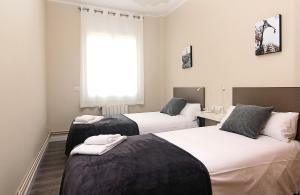 Rate: € 63.00 ... € 116.00; select dates below to get current rates. This apartment features a sofa, electric kettle and kitchenware.